Are you searching for the best shower speakers, but are having a hard time locating a good option that you’re happy with? We have researched the top 10 shower speakers that are available in the marketplace to save you time. We have focused on the main features such as high quality reviews from buyers and brand quality. In addition, we have categorized the speakers into 3 sections based on their prices so that all budgets are catered for. Also, we have rated them on a scale of 1 to 5, so before reading you have an idea of the quality. Moreover, if you’ve never bought such a speaker before then don’t worry because we have created a buying consideration section where we go over different features. Here you will find out the information you need to know before making the purchase. However, if you don’t buy from us then at least you would have gained the knowledge that can be applied elsewhere. We hope you have as much fun reading this guide as we did writing. Wind and noise reduction technology and built-in mic. 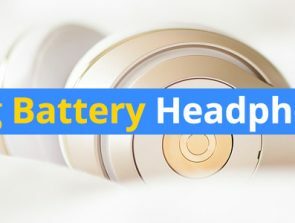 Insanely long battery life and 360 degree sound. Can connect 2 speakers to one device, bass sounds incredible. A good shower speaker must be durable so that it can last a long time and not wear down over time. Pay attention to the shell to determine durability since it’s typically a reliable indicator. The shell housing should be made from durable materials such as rubber and aluminum so that it can absorb fall damage. However, additional coatings means it will weigh more, so if you want to use your shower speaker to travel with then make sure to check the weight. The shower speaker must be waterproof so that the drivers don’t soak and get damaged. You can check the waterproof rating to evaluate the resistance and decide if the speaker is up to your standards. IPX7 is the best certified rating you can get and anything below that isn’t as durable, but if you’re only going to use the speaker for shower use then IPX5 will be good enough. Frequency range: The frequency response determines how dynamic the audio will be so make sure that it is wide enough for your standards. Most speakers are around 20 Hz – 20k Hz, which is great as this allows the drivers to output excellent highs and lows. Drivers: The drivers used must be tuned properly so that they can output high quality audio. However, some speakers allow for custom tuning, so if you prefer bass based beats then you can increase the lows. If the speaker doesn’t have this feature then you can download tuning apps on the app store to get around this problem. Sensitivity: The sensitivity determines how loud the speaker can get. So if you need something that is loud make sure the sensitivity is at least 93 dB+. Also, make sure the speaker can handle the music you are listening to as some tracks can be bass boosted and start tearing the drivers. The most common connection method used is Bluetooth since it provides stable connections throughout the listening period. You want to get the latest Bluetooth version as it provides better connections and no distortion can be heard. Also, some speakers have NFC pairing, which means after the first time the audio device will automatically connect to your smartphone. The brand is one of the most important pieces of information you should be paying attention to. The brand tells you a lot of details as some are better than others in terms of technology, build quality, and audio. You want to go with a company that you trust and if you’ve previously bought from them before and you liked the product then you know they are trustworthy. In addition, make sure that you do your research beforehand as some companies are good on paper but the reality is somewhat different. You can counter this problem by checking online reviews and watching online unboxing videos, which is a great way to gain information for free. 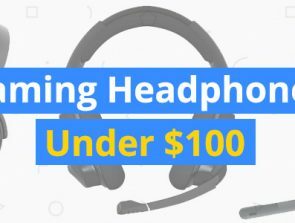 The under $50 dollar price category features some excellent budget options that can provide great sound quality for you to enjoy while in the shower. The battery life lasts for multiple hours so you’ll never be left without music and the charge times are relatively short. They may not offer the best audio, but if you don’t want to spend much and enjoy music in the shower then these options are your best bet. The Sbode Bluetooth Speaker can output advanced digital sound thanks to its wind and noise reduction technology. The bass radiators on each end provide excellent lows that make any bass boosted song sound phenomenal. In addition, the tweeter drivers provide crystal clear vocals so the music sounds more diverse and deeper. Furthermore, the rugged rubber housing of the speaker makes it resistant to small drops so you don’t have to worry about accidental slips out of your hands. The materials used are high quality and when holding the speaker it feels solid. 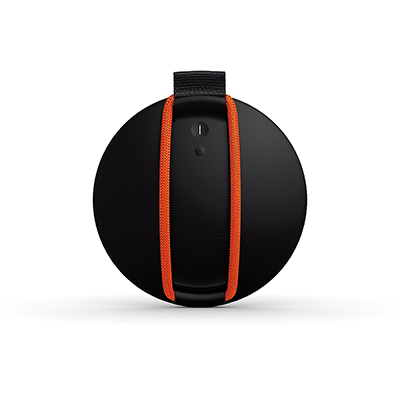 Also, the speaker is waterproof and dustproof so you can take it to water based areas. Moreover, the speaker has multiple buttons built-in that allow you to control the music without the need to touch your smartphone. You can shuffle between tracks, adjust the volume, and pause the music when needed. Also, there is a built-in microphone so you can answer calls hands-free, which is convenient has you don’t have to disconnect from the speaker to take calls. This speaker is waterproof and dustproof, but don’t submerge it under water as the drivers will get soaked through and as a result be damaged. Also, there is no quick charge feature so you’ll need to wait 3 hours to completely charge the speaker. 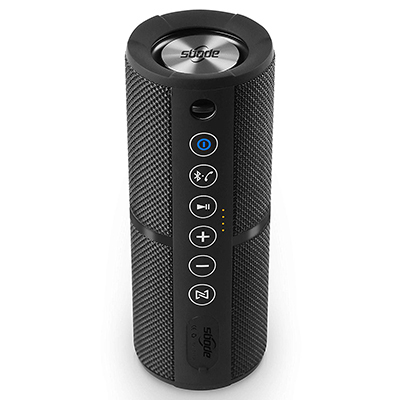 In summary, the Sbode Bluetooth Speaker is a great choice because of its long 15 hour battery and durable design. The rubber housing protects the drivers from taking fall damage and the shell is splash proof. Also, the bass radiators located on the sides provide excellent lows and the tweeter drivers output pinpoint vocals. The Photive Hydra Portable Bluetooth Speaker is rated IPX66, which means you can take this speaker to any water based area without problems. Also, the rugged design makes it ideal for traveling or home use since it can handle multiple drops with damage. When holding this speaker you’ll notice the use of premium materials that feels nice in hand. In addition, the speaker has a battery life of up to 8 hours and thanks to the advanced Bluetooth technology the speaker is optimized to consume less energy. Connections are extremely stable and no interruptions can be heard, unless there are objects in the way. 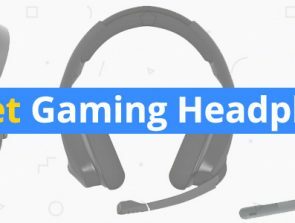 The audio quality is excellent because it uses two 40mm drivers that deliver unbelievable clarity when it comes to the higher and lower frequencies. Also, there is a passive subwoofer that helps produce vibrant bass, which gives the beat life. Upon purchasing this speaker you will get a 1 year parts and labor guarantee. 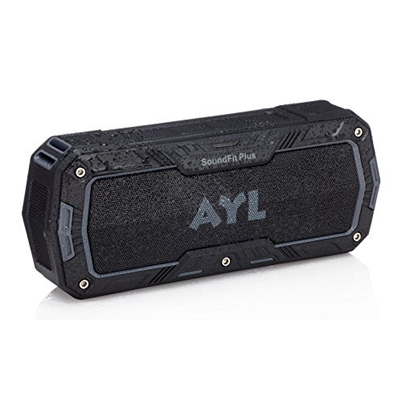 The design is rugged and extremely durable, but the style of the speaker is quite basic and doesn’t look unique. Also, if there are objects in the way of the transmitted waves they can become distorted and sound terrible. In summary, the Photive Hydra Portable Bluetooth Speaker is an excellent choice because it comes with a waterproof shell that is rated IPX66. The speaker is extremely durable so you don’t have to worry about accidental drops. Also, the built-in subwoofer outputs tremendous bass that gives life to a beat. This speaker comes with a 1 year warranty so if it does happen to get damaged you can get a replacement. The SoundFit Plus Bluetooth Speaker is water resistant meaning it can take splashes of water and heavy rain without problems. The rugged durable design means that it can also withstand multiple drops without the drivers taking damage. When holding the speaker it feels powerful and long lasting so you know the product is worth your money. The audio output is quite loud as it uses 10 watt speaker drivers that can output vibrant beats, which can fill up a room with ease. The frequency response is extremely wide so the vocals sound pin point and the bass is thunderous. Also, there is a built-in microphone that you can use to take calls hands-free. In addition, connections are stable throughout the listening period and you don’t have to worry about stepping out of range as the distance is large at 33 feet. The technology used is Bluetooth 4.1, which uses up less battery and improves audio quality by not letting the transmitted waves distort. The water resistance rating is only IPX5, which means it doesn’t have the best rating and therefore can’t be kept in water for long durations. Also, the style of the speaker isn’t visually attractive and is quite basic. To summarize, the SoundFit Plus Water-Resistant Bluetooth Speaker is a great audio device that can play vibrant beats with ease. The 10 watt drivers have been tuned well to produce lifelike audio that feels rich and dynamic. In addition, the waterproof casing is rated IPX5 so you don’t have to worry about accidental splashes. 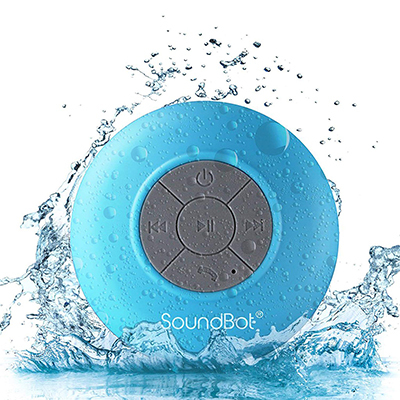 The SoundBot SB510 HD Water Resistant Speaker is ideal for people who want to listen to music while in the shower. The shell is made to be highly resistant to water so you don’t have to worry about getting the device wet. You get to select from 6 different color designs so you can pick a more personalized product. Moreover, the audio quality is great with this little speaker since the audio output is loud and can fill up a bathroom with ease. The drivers have been tuned well and can produce excellent vocals and soaring lows. There is also a built in microphone so you can take calls hands-free. In addition, the eco-friendly advanced Bluetooth technology provides stable connections throughout the listening period and no distortion can be heard. The connection range goes up to 33 feet so it’s more than enough for shower use. Also, you get a 1 year warranty that covers any damage and the customer service is excellent. This is a budget shower speaker so the audio quality won’t be as great as some of the other options, but for shower use this achieves more than enough. Due to its small size the audio can’t be as loud as bigger speakers, which is good for small rooms but other options should be considered for larger spaces. To conclude, the SoundBot SB510 HD Water Resistant Shower Speaker is one of the best options as it provides excellent waterproof durability and great audio quality. 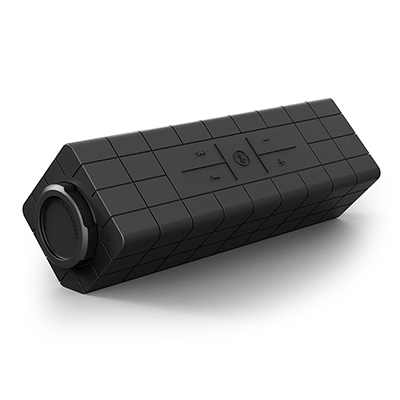 The speaker can fill up a small room with loud music and no distortion can be heard thanks to the stable Bluetooth connections. Also, there is a built-in microphone so you can take calls hands-free. The under $100 price category has some of the best mid-ranged price shower speakers that you can purchase. They offer excellent audio quality that can fill up a room with ease and due to the stable connections no distortion can be heard. Some speakers have 360 degree surround sound technology so you can enjoy a more life like experience. The Ultimate Ears BOOM 2 Phantom Wireless Bluetooth Speaker has amazing 360 degree surround sound, which makes the music sound a lot more enhanced. The portable design makes it easy to carry around and the battery life lasts for 15 hours. Also, the connection range is 100 feet and while you’re within the boundary the music will always sound pin point accurate. In addition, the wireless speaker has an ultra-durable shell that can withstand small drops as it uses premium tough materials. Also, the speaker has a certified waterproof rating of IPX7, which means you can submerge it in water for up to depths of 1 meter for 30 minutes. This means you can take the speaker to water based areas such as the shower and not worry about water damage. Furthermore, the audio output sounds great thanks to the multiple driver units used that help create surround sound. You can connect to the application that comes with the speaker to get more features such as the ability to tune the drivers. 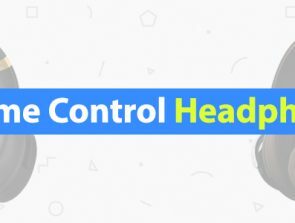 Also, you can control the music without touching your smartphone, since there are built-in buttons that let you adjust the volume and skip between tracks. The design of the speaker may not be that appealing to some people and it only features a few colors to choose from. Also, if you keep the speaker in water for too long it will damage the drivers and make the audio sound muffled. In conclusion, the Ultimate Ears BOOM 2 Phantom Wireless Bluetooth Speaker is an excellent choice, which outputs 360 degree audio . The waterproof rating is IPX7 so you can submerge it in water up to depths of 1 meter for 30 minutes at a time. Also, the speaker comes with an app that you can use to customize the drivers to your liking. 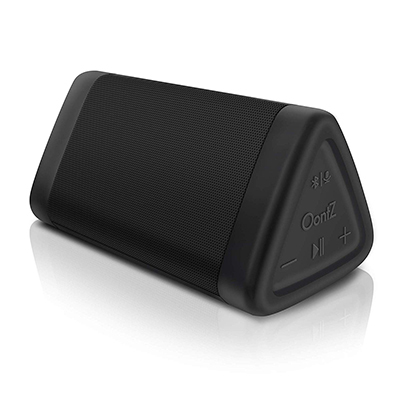 The OontZ Angle 3 Enhanced Stereo Edition Speaker can produce clearer and better sounding music than its previous version. It uses newly developed drivers such as a proprietary passive bass radiator that produces excellent lows, which helps give a beat life. Also, the vocals sound great too thanks to the well-tuned tweeter drivers and no distortion can be heard at any volume level. Wireless connections are always stable as the technology used is Bluetooth version 4.2, which provides a longer connection range spanning up to 100 feet. Also, there are built-in buttons that can be used to pause/play music, adjust the volume, and skip between tracks. In addition, the Angle 3 features a durable shell that can take accidental drops with ease, plus it feels nice when holding and you can tell this is a premium speaker. Also, it has a waterproof coating that protects the drivers from taking water damage. The waterproof rating is IPX5, which is not the best but it does get the job done when it comes to water resistance. However, IPX5 is not the best rating so try not to keep it in water often as water can soak all the way through to the drivers. Also, make sure not to have any objects in the way of the smartphone and speaker, as otherwise interruptions will be noticed. To conclude, the OontZ Angle 3 Enhanced Stereo Edition Speaker is a great choice because of its durable design and loud music output. The drivers used have been well-tuned to provide excellent sounding acoustics and no distortion can be heard at any volume. Also, there are multiple buttons built-in to the speaker that can be used to adjust the volume and shuffle between tracks. The Polk Audio BOOM Swimmer Bluetooth Speaker is rated IPX7, which means it can be immersed in 3 feet of water for 30 minutes without harming the drivers. This means you can take the speaker to water based areas such as swimming pools and the shower. However, don’t keep it in water for too long as the drivers will get soaked once the 30 minutes go by. Moreover, the shell of the speaker is made to be highly durable and you can drop the device freely without fear of damage. The design of the Polk Audio BOOM Swimmer Bluetooth Speaker is cyan, which makes it stand out so losing it in a pool is unlikely. 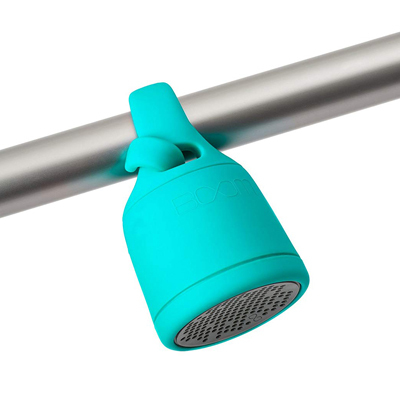 Also, you can stick it onto a wall as it has a suction cup, which is ideal for showers. The audio sounds vibrant and detailed even though this is a small speaker. The drivers have been tuned perfectly to fill up a room with ease and no distortion can be heard. In the box you will receive a suction cup attachment, flexible tail, micro USB, and an AUX cord. There are not built-in buttons that come with the speaker – only the one to turn the device on and off. Furthermore, this speaker doesn’t come with its own application so you can’t tune the drivers to your preferences. In conclusion, the Polk Audio BOOM Swimmer Bluetooth Speaker is great for all water based areas because of its durable shell and waterproof rating of IPX7. This speaker is designed to take on the toughest terrains so you can take it hiking or kayaking, plus you can use it for more basic things like going to the shower. In addition, you get a suction cup so that you can stick the speaker onto a wall. The under $200 price category features the best shower speakers that are available today. They all offer excellent water resistance and some of them have been made to resist small drops and bumps. Also, the audio quality is great as they have been well-tuned to provide excellent vocals and soaring bass. The connections are stable with each option as they use advanced Bluetooth technology with NFC pairing, which automatically connects your smartphone to the speaker. The FUGOO Style XL Shower Speaker can deliver 360 degree surround sound thanks to the 8 symmetrically placed drivers. There are 4 tweeters that take care of the vocals making them sound richer and the 4 lower frequency drivers help deliver excellent bass notes. Also, the music can get ultra-loud as the sensitivity can go up to 97 dB. Moreover, the battery life is insane lasting around 35 hours, which makes it great for showering and traveling as you’ll never run out of music. The built-in buttons on top can be used to skip between tracks, adjust the volume, and pause the music when needed. In addition, the build quality is extremely durable so don’t worry about dropping it and damaging the device. The shell is also waterproof with a rating of IP67, which means it can submerge in water up to depths of 3 feet for 30 minutes. The speaker floats too so you don’t have to be afraid of dropping it in a pool. The style of the speaker may not appeal to all people, but this shouldn’t be an issue because the audio quality is the big attraction here. Also, you can only submerge it into water no more than 3 feet – any deeper and the audio drivers can get damaged due to pressure. To summarize, the FUGOO Style XL Shower Speaker is one of the best options available as it has 360 degree sound. The lows sound amazing and gives life to a beat and the vocals make any song sound enhanced. 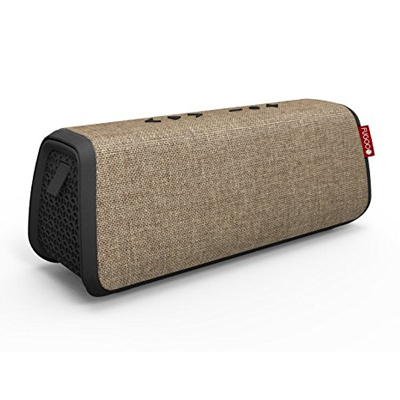 In addition, the waterproof coating protects the speaker from any water damage up to 3 feet for 30 minutes. The BÖHM Impact Plus Wireless Bluetooth Speaker has a connection range of 100 feet, which is multiple times more than the industry average. Using Bluetooth 4.2 connections are stable throughout the listening period and no dip in quality can be heard. Also, fitted with NFC technology connections happen automatically so you won’t have to waste time doing it manually. The audio can get extremely loud because it uses a total of 40 watts of power, which can fill up an entire room with sound. The dual passive radiators keep the bass thumping with zero distortion and the tweeter drivers help create brilliantly sounding vocals. Also, you can connect another BÖHM Impact Plus to create an 80 watt speaker system. Moreover, the waterproof shell is rated IPX4 so it can repel accidental spills and splashes of water. The built-in buttons can be used to adjust the volume and skip between tracks. Also, you can use the speaker as a powerbank since it has USB output ports. Using the speaker as a powerbank means that you will significantly reduce the playback time. Also, the waterproof rating of IPX4 isn’t the best so keeping it submerged underwater is not ideal. 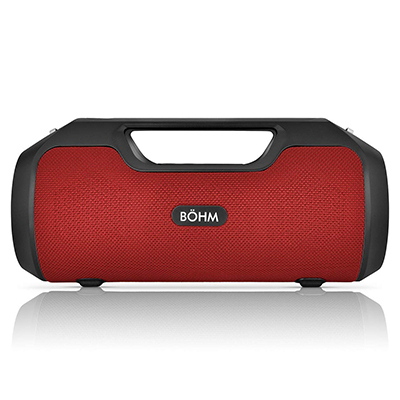 To conclude, the BÖHM Impact Plus Wireless Bluetooth Speaker is a great choice because of its multiple features. You can connect up to 2 speakers to one device to create an 80 watt speaker system, which will spit out music at a premium level. No distortion can be heard as the dual passive radiators work efficiently and the tweeters are tuned well to deliver excellent vocals. The Ultimate Ears UE ROLL 2 Bluetooth Speaker has a certified waterproof rating of IPX7, which means it can withstand terrible weather and accidental splashes of water. The shell of the speaker is made to be durable too using tough materials that are shockproof. Upon purchasing this speaker you will get a 90 day warranty so if the product happens to break then you are entitled to get a replacement. Moreover, the battery life is quite long lasting 9 hours and only requires 5.5 hours of charging time. The connections are stable and go outwards of up to 65 feet and no dip in quality can be heard within this range. The speaker charges with a USB port so you can connect it to most devices such as a powerbank or laptop. In addition, the audio quality is great as it uses well-developed speaker drivers that produce clear sounding music. Also, for such a small device the music outputted is quite loud and can fill up a room with ease. This makes the speaker easily portable as it doesn’t take much room and has a solid compact design. However, due to its small size the wireless speaker is easy to lose as it can drop out of your pocket without you knowing. Also, the bass doesn’t sound as good as the speaker has to utilize a small compact design. 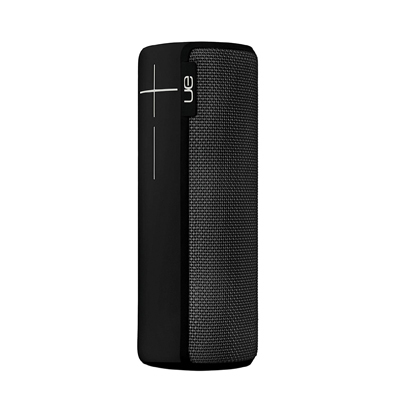 To summarize, the Ultimate Ears UE ROLL 2 Bluetooth Speaker has a waterproof shell that is rated IPX7. The durable design means that the speaker will be long lasting and you don’t have to worry about accidental drops or splashes. Also, the audio output is excellent as it uses well-tuned drivers that make the audio sound lifelike.